I have this good friend from college who is amazing at baking desserts, and this one was no exception. 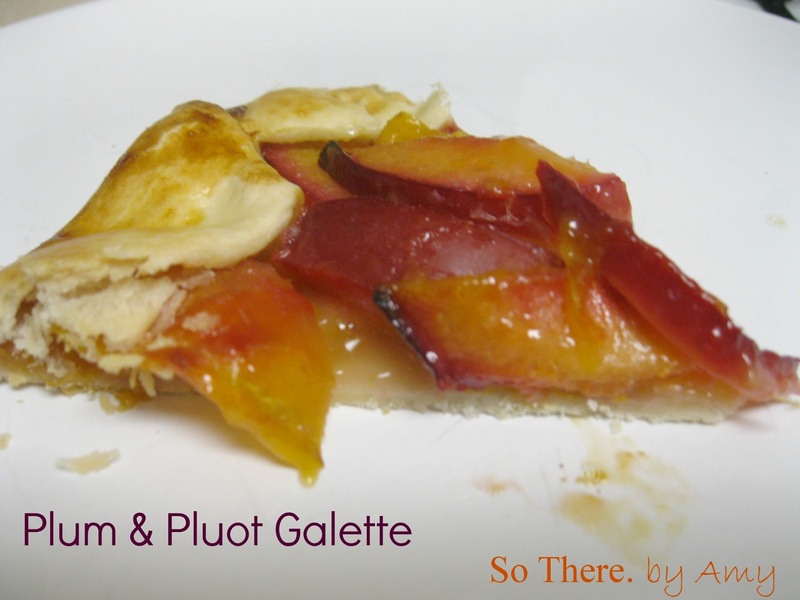 I had a piece of this plum and pluot galette she made, and it was delicious! Not too heavy, and super simple to make, I found out, too! This friend is Lauren over at Imperfect & Fabulous, and she was nice enough to share this recipe with all of us over at her blog! The part I might have been most excited about was my newly discovered, most favorite pie crust ever! Also shown here, in my Veggie Quiche. Lauren's secret crust? Refrigerated pie crust from Stater Bros! It is sooo good! !